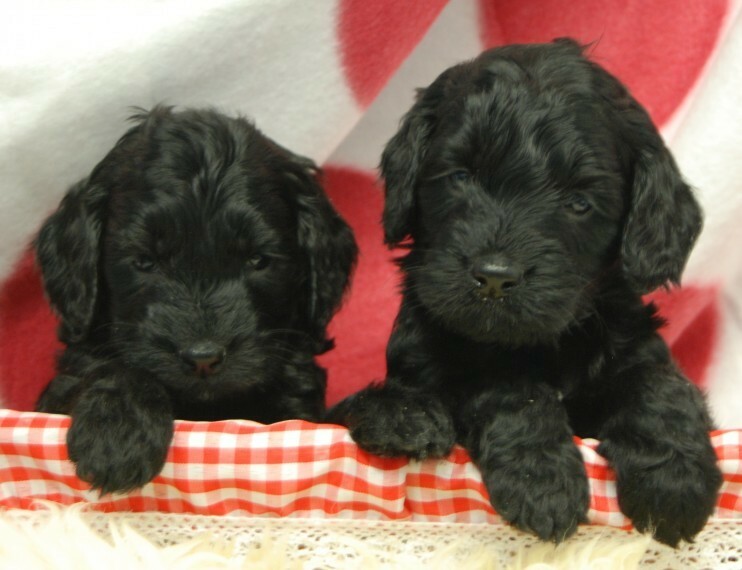 We are pleased to announce that pretty Poppy has had 7 beautiful black puppies. She is our 5 year old mummy and a very good mum. She is loving and affectionate with an amazing temperament. Daddy is Crumble our 3 year old cockerpoo who is a very clever dog and eager to please. Both mum and dad are here to view. Copies of their DNA are to see also. which means all the puppies are PRA clear. The puppies are hyperalergenic and therefore none malting.so great for homes with allergic occupants. They are all well socialised with our other dogs and grand children. We have a CD we play with children screaming. fireworks. babies crying etc. It is to ensure the puppies go to their new homes bomb proof............. drives us mad though..... The puppies are ready to leave now. All puppies will be micro chipped. fleas. and wormed with panacure puppy wormer from 2 weeks all to date. They will have their 1st vaccination and vet checked. Our vet will confirm any questions you may have about our puppies. Support will be available at any time. They will leave with a puppy hamper containing food toys. chews. a sented blanket of mummy daddy. siblings. and a package of information. It is paramount for us that we do find 5. homes for the babies. so apologies in advance if we do ask questions. If you are looking for a high quality cockerpoo. please contact us.